✎ Ninja’s Top 10 Rules for Success. Need motivation? Watch a Top 10 with Believe Nation! Grab a snack and chew on today’s lessons from a man who went from a kid with a passion for video games to becoming the biggest Twitch streamer, Internet celebrity, and a highly successful professional eSports player who earns over $500,000 per month just from streaming Fortnite! 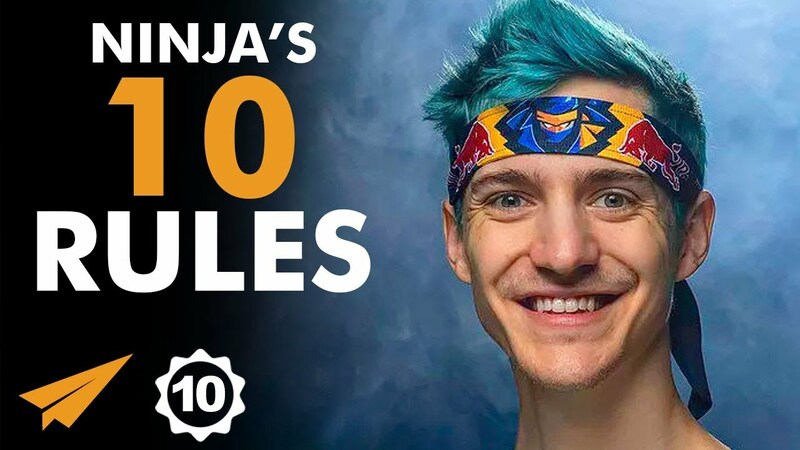 He’s Richard Tyler Blevins, more commonly known as Ninja and here’s my take on his Top 10 Rules for Success! 1) What is your passion and your gift? 2) What moment do you need to seize right now? 3) What is the unique thing that you offer? ✎ More about Ninja. He began playing Halo 3 professionally in 2009. He became a streamer in 2011. He joined Luminosity Gaming in 2017 first as a Halo player, then to H1Z1, and later moving to PUBG. In March 2018, he set the Twitch record for a single individual stream while playing Fortnite after he hosted a game with Drake, Travis Scott, and Juju Smith-Schuster. He began streaming Fortnite regularly and his viewership began to grow, which coincided with the game’s growth in popularity. In April 2018, he broke his own viewing record during his event Ninja Vegas 2018 where he accumulated an audience of about 667,000 live viewers. He has over 21 million subscribers on YouTube as of January 2019. In 2018 he partnered with Red Bull Esports. He became the first professional eSports player to be featured on the cover of ESPN The Magazine. He’s the most followed streamer on Twitch with over thirteen million followers.